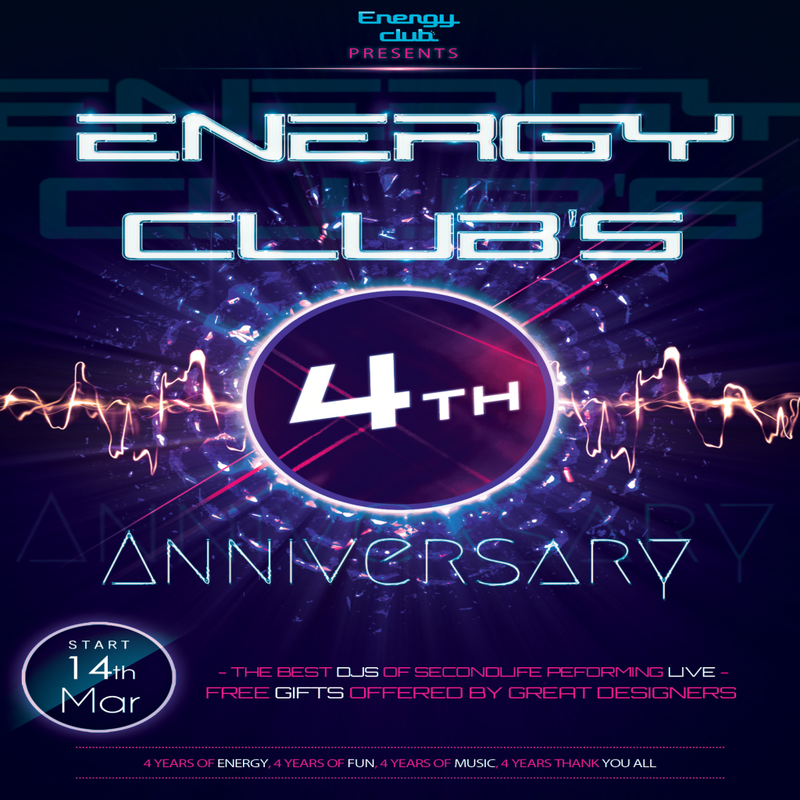 Energy Club celebrates four year anniversary with three themed events starting on Friday March 14th at 12pm SLT through Sunday March 16th. Featuring some of the best and hottest DJ in Second Life bringing you live music and the most amazing parties on the grid. Free gifts from great designers like Legal Insanity, Energie Footwear, Delirium Style, Vision, Moose Clothing, Aris Aris, Gizza, Moda, Utopiah, Akeruka, N1co and Poison. 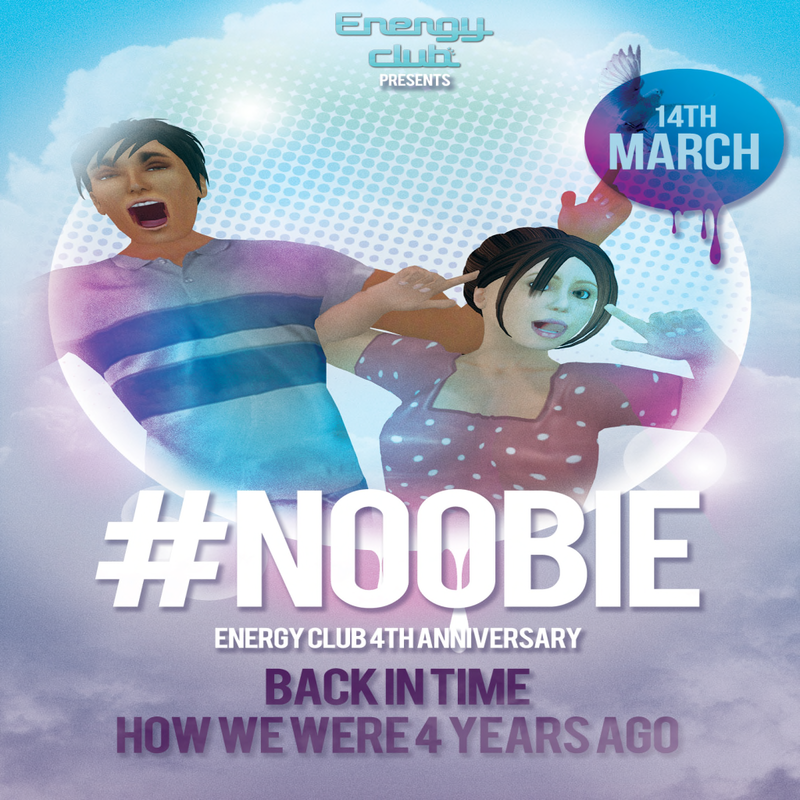 On MARCH 14, 2014 The Energy Club kicked off on with a new year of great music and awesome parties going back 4 years ago with a Noobie Party in the old Energy Building. We remember those days of stiff looking clothes and washed out faces and we dug out those threads of yesteryear as we celebrated all things Noobie. The celebration did not end there! Join us for a weekend full of entertainment. Ahoy Mates! 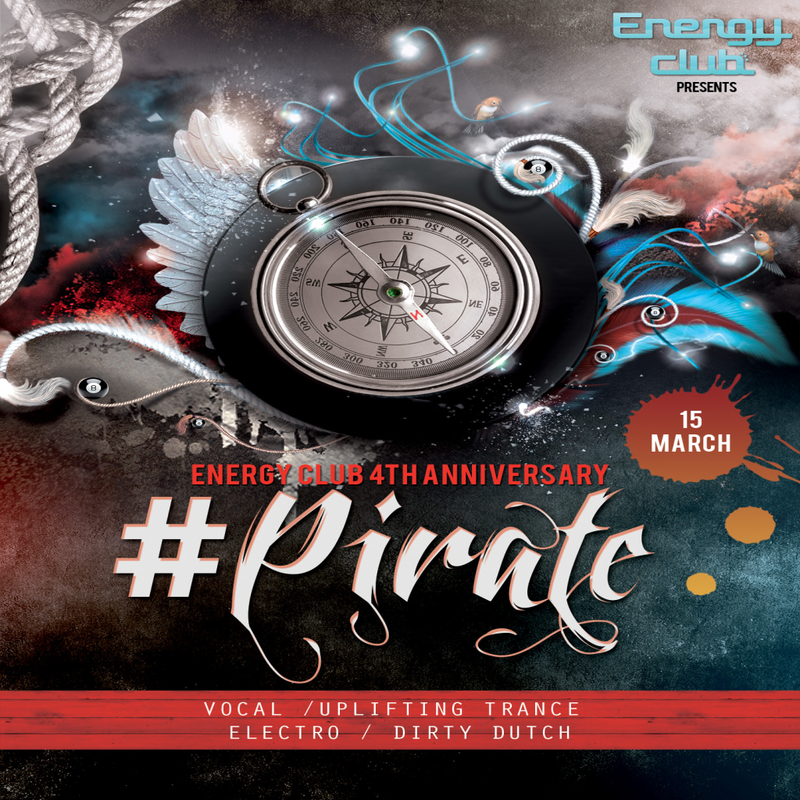 calling all wenches and salty dawgs, On Saturday come sail the ocean blue, shiver me timbers and be part of this swashbuckling good time as we celebrate the 2nd day of Energy Club 4th year anniversary party. 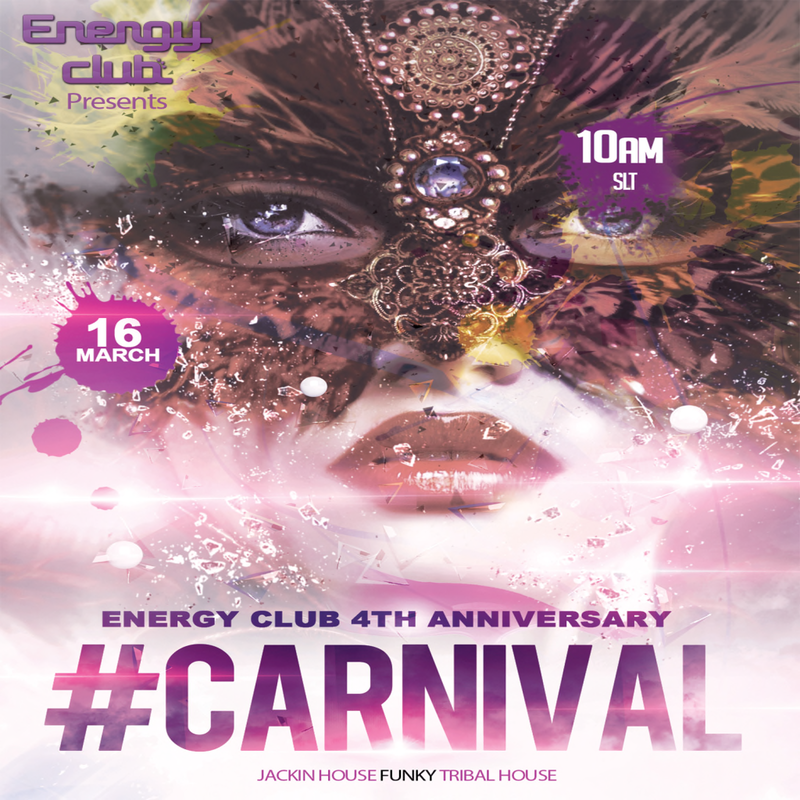 On Sunday March 16th come incognito to dance in the streets with your feathers, beads and choose a mask just be sure to wear it well so your true identity no once can tell. This is all you need to have a blast for the closing party of this 3 day anniversary celebration. And the opening of ENERGY CLUB!